KSEM KCPM45 cutting edges with HPG geometry provide increased productivity and improved tool life in steel, even under the most difficult conditions. Together with our reliable and highly economic KSEM modular drilling system, KCPM45 is an ideal choice for dealing with material snap back, drilling stacked plates, and working with cross holes or inclined exits and entries. KCPM45 grade combines a very tough substrate with a PVD coating. It is capable of machining steel even in the most demanding conditions. KCPM45 HPG inserts work with low cutting forces, very good centering and provide high resistance to edge and corner chipping. 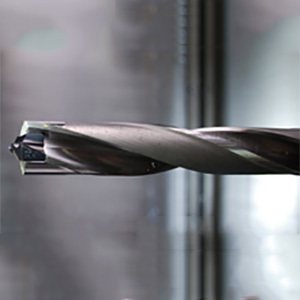 Use KSEM for drilling holes from 12,50–40mm and depth from 1–10 x D*.